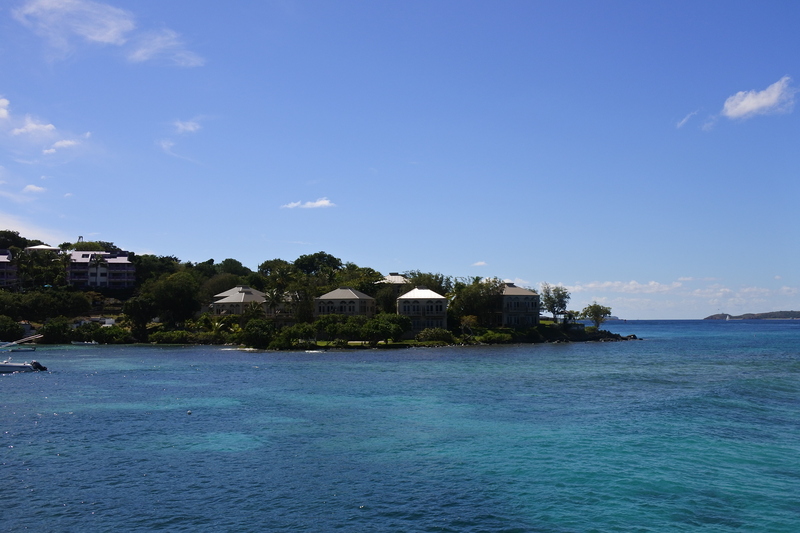 I recently had the pleasure of taking a cruise with Celebrity Cruises, and I highly recommend it. I took a one week cruise in the Caribbean departing out of Miami and stopping in San Juan Puerto Rico, St. Thomas, and St. Martin. See my Cruise itinerary here. Overall, I loved cruise life. It was really my first cruise (or first adult cruise, as I had done one in college which seems like ages ago, it’s hard to remember!). 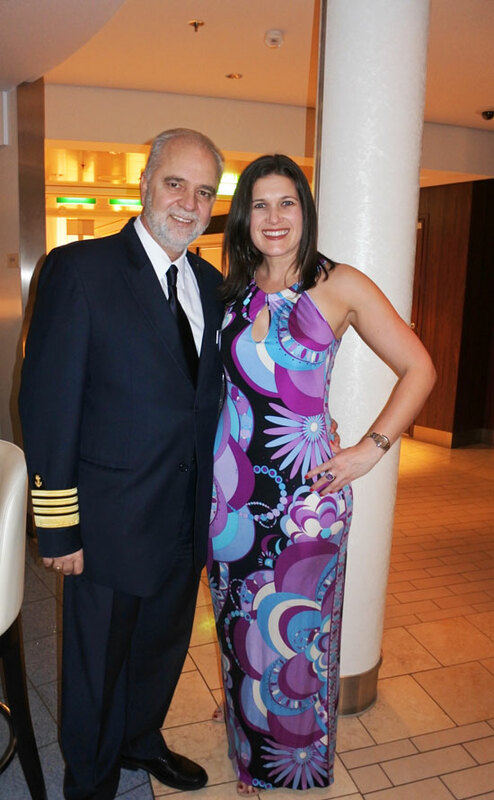 Below are a few things I want to share with you to help you be best prepared for cruising with Celebrity (or any Cruise for that matter). After spending a week on the Celebrity Reflection I can’t wait to return. 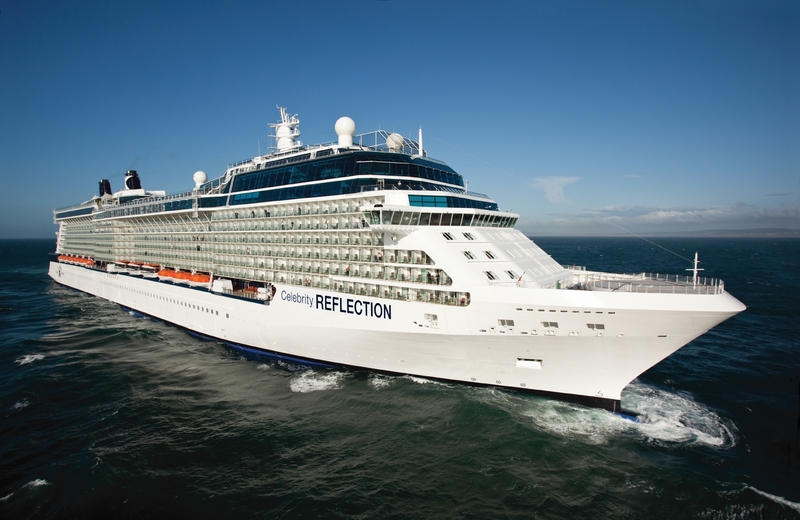 If you like to travel as much as I do and enjoy amazing food, excellent service, and wonderful drinks and wine, you should consider cruising with Celebrity Cruises! Be sure to check in online at least five days prior to your departure date. This will let you get baggage tickets so the moment you arrive to the port you can check your bags with the porter and wait in line as you board the ship, bagless. I packed lightly so I just carried my bags on. However, those that travel with more than a carry on suitcase and a carry on bag will prefer the curbside check option. After boarding, your bags will meet you in your room! Pretty fabulous, right? Lucky for me, as I waited in line to board I met some pretty amazing friends, all of whom had traveled with Celebrity Cruises before. They let me know that there are Specialty Restaurants (at an additional cost to your cruise package) that are phenomenal and they all made reservations before getting on the cruise at these restaurants. Find out more information about Specialty Dining packages here. You can also make reservations upon boarding (I’d recommend doing this the first day which is what I did before others get organized and learn the drill), and this is the route to go for any foodies wanting a more upscale elevated dining experience, rather than the main restaurant scene included in your package. Read more about the Specialty Restaurants here. You also have the option to pre-buy Speciality Restaurant packages when you book your cruise. 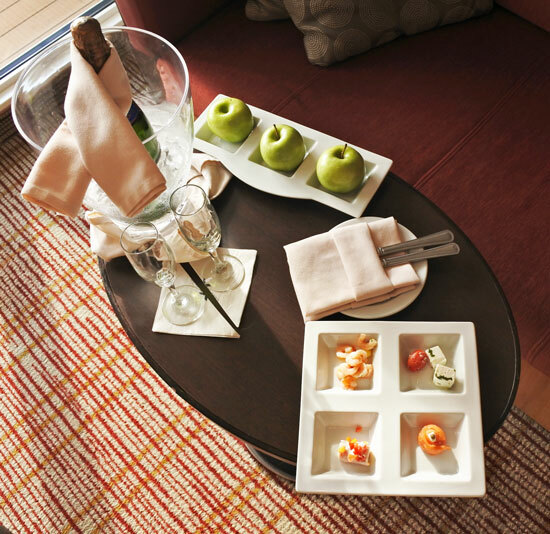 Find more information about Specialty Dining packages click here. By pre booking the packages, you end up paying less than you would individually, and you can also pre-reserve your reservations ahead of time. 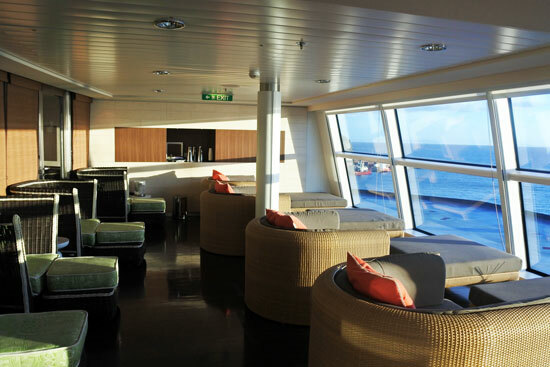 This is what the expert cruisers did and what I will be doing for future Celebrity Cruises. Let’s be honest, you are on vacation! Relax, enjoy, and have a few drinks. Alcohol, soda, even bottled water, are not included in the base package so plan to spend another $400 or so (depending upon which package you select) on the drink package. There is a soda/water, base alcohol, and premium alcohol package (approximately $65 USD per day) if you want the higher quality booze and wine – go premium! Learn more about the drink packages here. Enjoying a Cocktail at the Martini Bar! 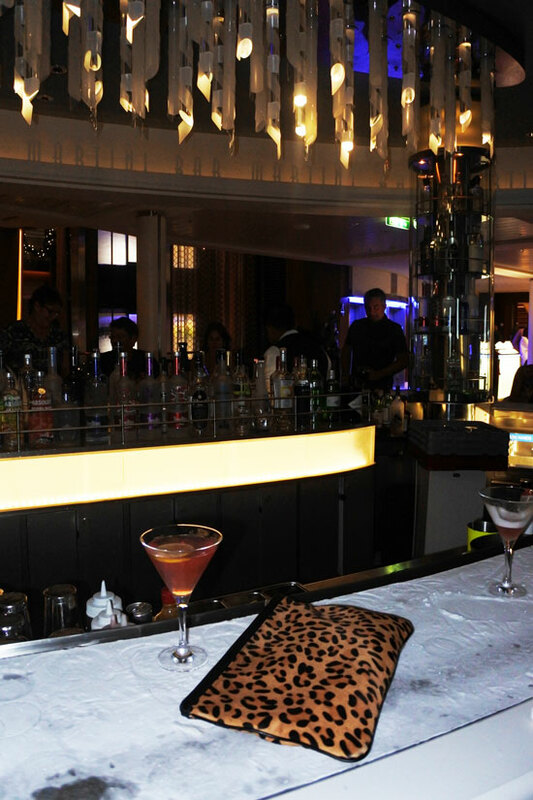 With the Premium package, cocktails are included and this bar is totally worth it! Read more about this Bar on my Celebrity Top 10 Drinks post. 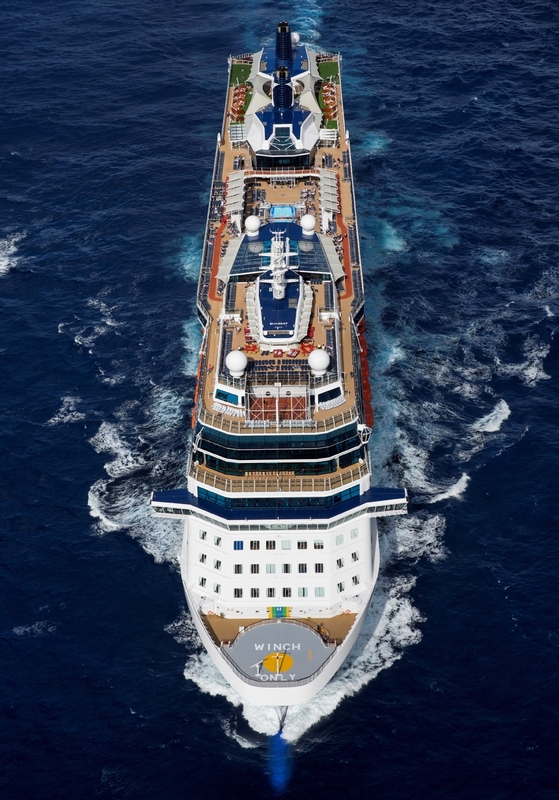 Celebrity does a fabulous job of organizing various excursions in each port you dock in. Upon boarding I looked into the various excursions hoping to Scuba Dive in St. Martin (would have been amazing, right?). However, I was too late and the excursions I was interested in were full. Don’t make the same mistake. Plan ahead and book your excursions prior to travel. Some guests prefer to do their own excursions when they dock to save some money (it’s cheaper than the Celebrity pre-planned options). However, I learned that if you’re on a Celebrity excursion there is NO CHANCE you will get left behind if something happens and you can’t get back to the boat before it docks. I know this very unlikely, but I took a day trip to St. John and was worried the entire day I’d miss the ferry back to St. Thomas and then miss the Cruise and it was too stressful. Going forward, I will only book excursions with Celebrity for the comfort of knowing I won’t get left! 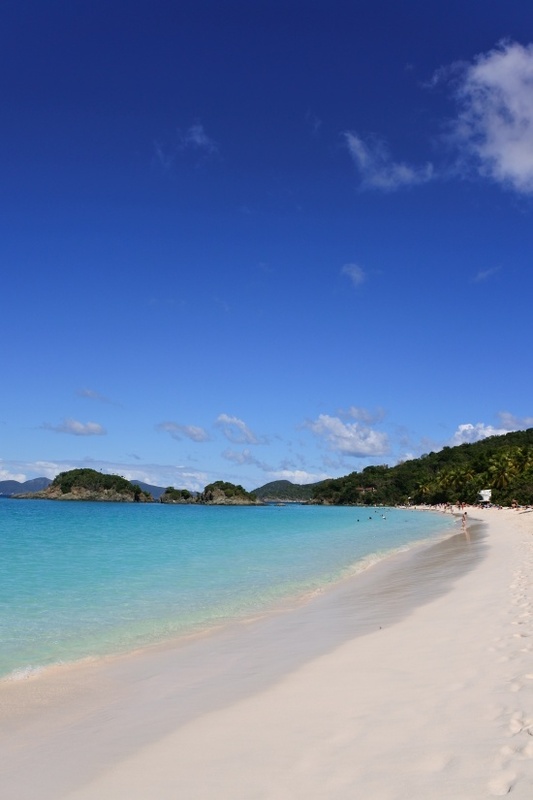 I do recommend you visit St. John if you’re on the Caribbean itinerary – I was it’s incredible! 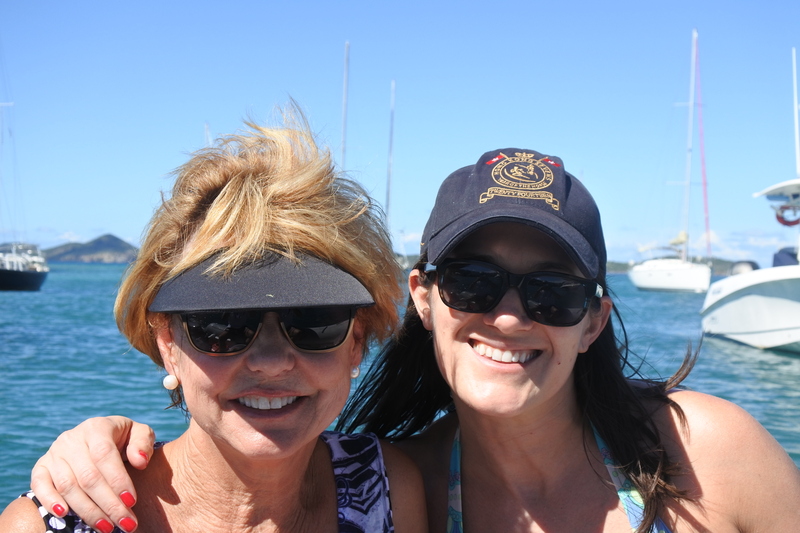 Me and Lynde exploring St. John Island. Her awesome husband, Drew, was the ship captain of the dingy we rented and explored the island on. 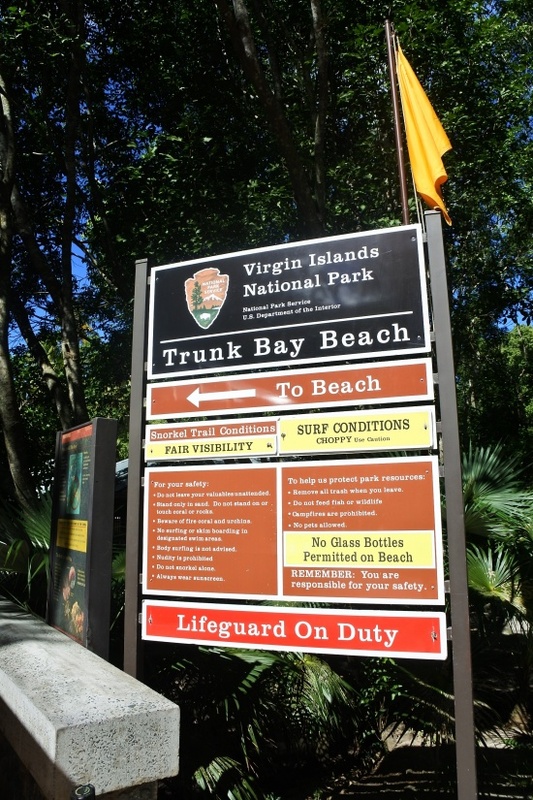 Trunk Bay National Park/Beach was the most incredible beach in the Caribbean. If you’re someone who wants to stay active on social media, work, or be online during the cruise, you may as well get the unlimited internet package. It’s $199 USD (for 7 days) and the best money I spent. I worked quite a bit during this cruise so the wifi was essential. If you plan to totally unplug and relax, skip it and really enjoy your vacation with no disturbances from the outside world! There are two evenings during the seven week cruise where you have the option of dressing up in semi- formal/chic attire. It’s really fun. Let’s be honest girls, we all LOVE to dress up, especially with an amazing tan… So pack appropriately for these two evenings. I packed an amazing Pucci dress that I just adore and a White Eyelet dress from Banana Republic. Check out some other beachwear items that I adore and am coveting at the moment. Me and the Officers on Chic Night. They really were so nice and such an attractive group in their suits, right!? One of the things I was most excited about on The Celebrity Reflection Cruise was the Canyon Ranch Spa. I try to experience Spas whenever I’m staying with a hotel. 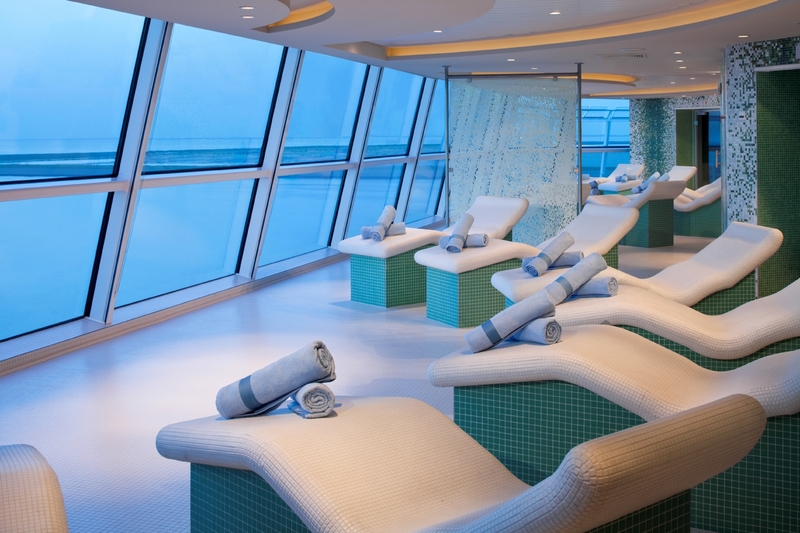 See some of my favorite spas here. Be sure to research this amazing spa ahead of time, or the day you arrive, to make a few appointments. Also, I learned an amazing tip. On port days, the spa is discounted. If you decide to stay on the ship on a port day (which I did one day and loved) your spa treatments are about 20% less than on sea days. Who doesn’t want their money to go 20% further when it comes to massages and facials! You’re probably wondering what Aqua Class is and why you should book it. Well, it’s amazing. I stayed in an Aqua Class Suite and loved it. It’s a higher level class than the regular class, while not quite being a suite. What’s included? 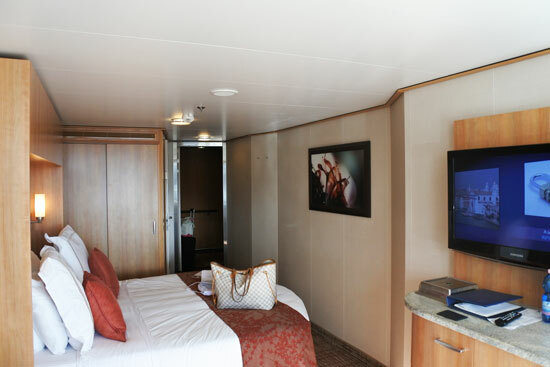 Aqua Class staterooms offer spa elements infused into the stateroom experience and priority seating in the exclusive and chic specialty restaurant, Blu. 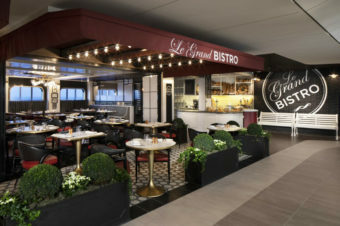 (Read about Blu on my Top 10 Celebrity Cruises Eats post). 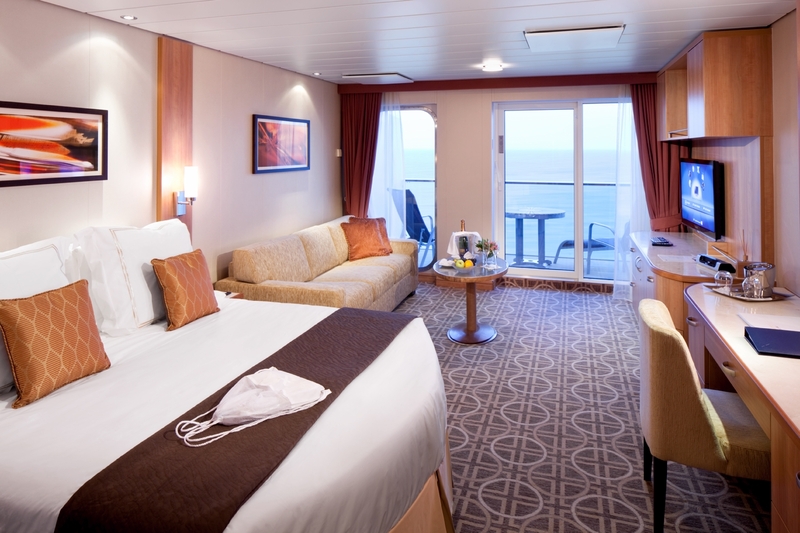 These spa-inspired staterooms offer unlimited access to the Relaxation Room (on Solstice Class only) and Persian Garden, as well as a host of other soothing extras. 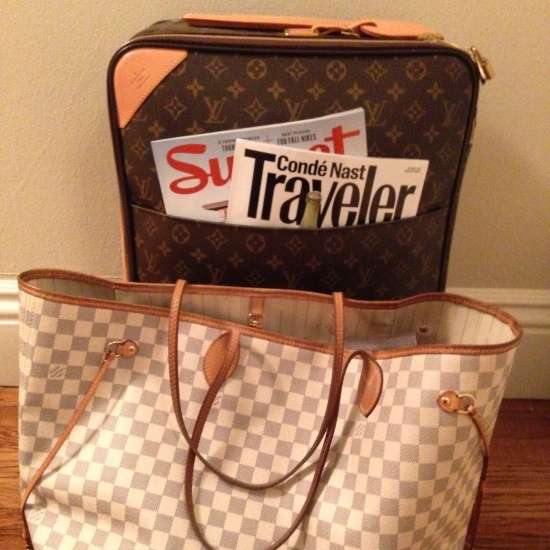 If you love the Canyon Ranch Spa, there’s no finer way to travel. Farewell Miami, I could not be more excited to be board the Celebrity Reflection heading for the Caribbean. The welcome snacks awaiting me in my cabin upon arriving. 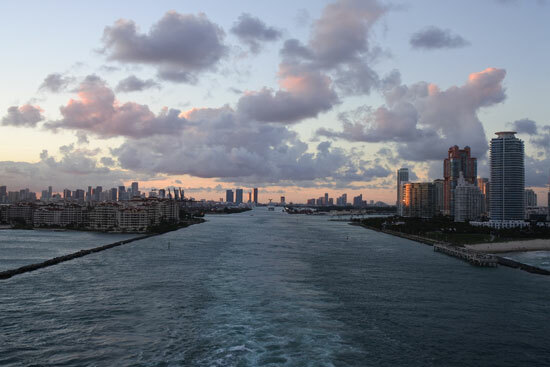 I had no idea how incredible it would be to watch as the ship departed Miami. I was in my room unpacking, really enjoying the bubbles that welcomed me and before I knew it we were pulling out of the dock. 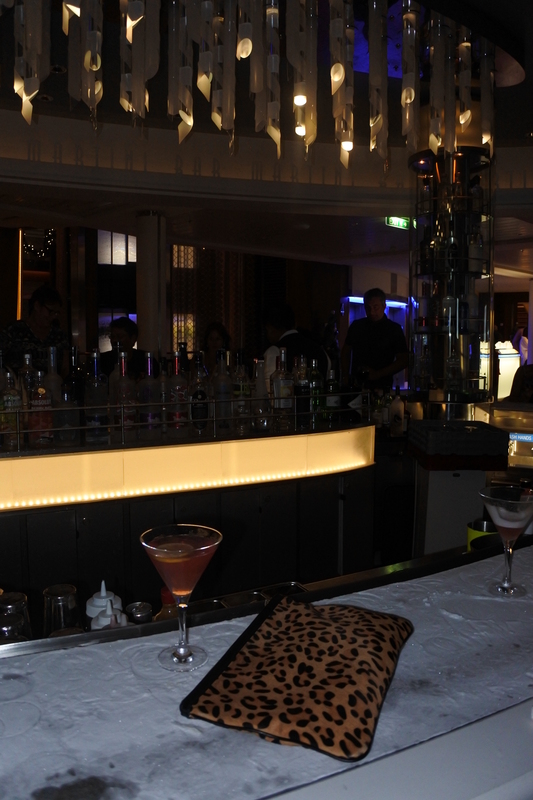 I hustled to the top of the ship’s Sunset Bar (read more on my Top 10 Drinks post) to take in the views and mingle. This was the highlight of my first night. I ran into new friends, Tina and Frank, whom I had met in line while boarding the ship. 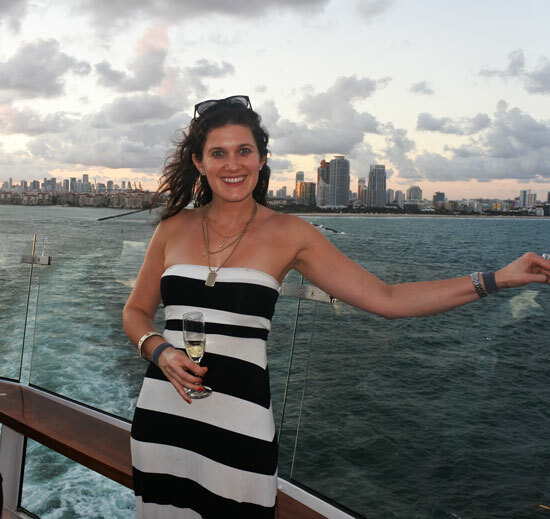 I immediately settled into cruise life, enjoying the beautiful ship, the picturesque views, and new friends. 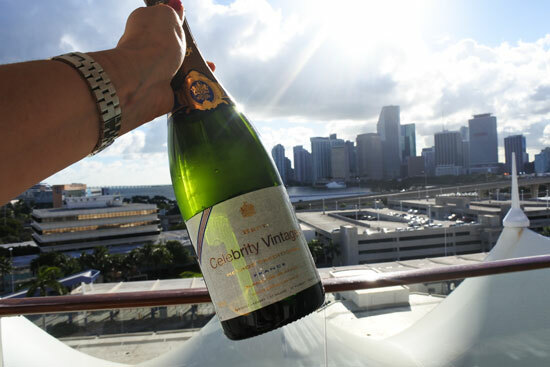 Cheers to an incredible week ahead with Celebrity Cruises! 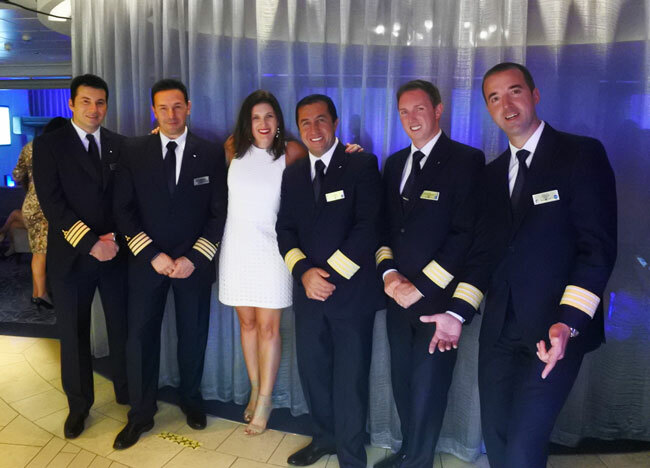 DISCLOSURE: Emily, The JetSetting Fashionista, enjoyed a complimentary trip on the Celebrity Reflection. 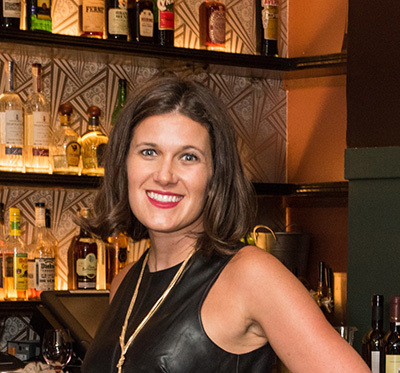 However, Emily was not paid to write this post and only writes about hotels, restaurants, and destinations that she personally enjoys and proudly endorses and wants to share with her readers. All opinions expressed are her own. 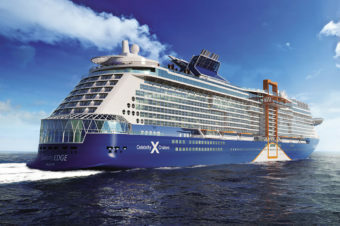 The New Celebrity Cruise EDGE, A Ship Like No Other…. Thanks for sharing the tips… makes me want to go on a cruise!